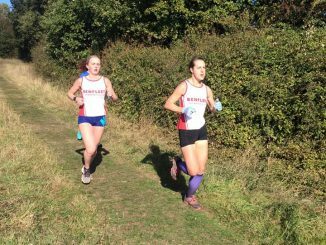 Sunday 27th November was a very successful day for Benfleet Running Club at the Essex Cross Country League Vets Championship based at Writtle College, Chelmsford. 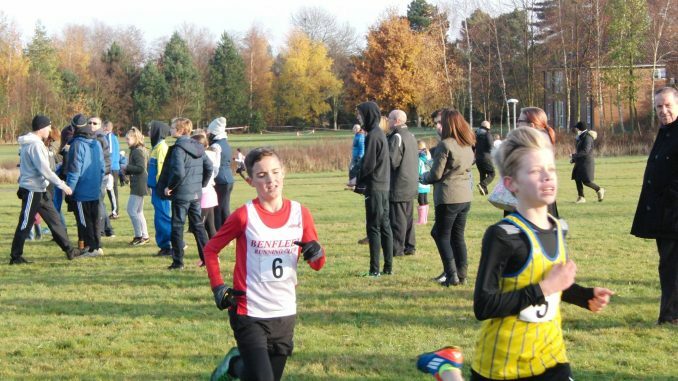 Kicking things off for Benfleet Running Club was there sole U13B runner Archie Conners who finished in 15th place with a time of 11:36:00. The Women’s Vets competition was led by Jacqui Watson 23rd (38:39:00), followed by Nikki Leigh 40th (41:29:00), Kelly McClenaghan (45:28:00), Sarah Norton (45:39:00) and Annette Johnson (50:21:00). This placed the ladies from Benfleet in 11th position overall. The Men’s V50 category returned the greatest success of the day with the Benfleet RC team coming home with the Bronze medal place. The team comprised of Alan Clark 12th (33:45:00), Michael Valbonesi (34:00:00), Nick Rankin (34:46:00) and Richard Jones (36:30:00). 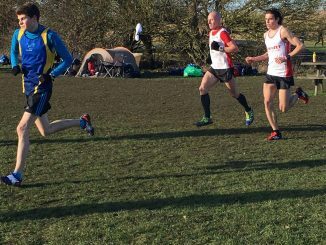 Doug Stephens (38:02:00), Barry Key (39:04:00) and Stephen Burton (41:46:00) also competed in the v50 category for Benfleet RC. The final category with Benfleet RC representation was the V40 category. Leading the charge was Andy Low in 11th place with a time of 31:21:00. Terry Spooner followed in a time of 33:09:00. 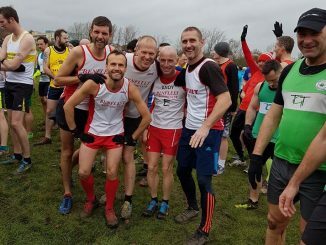 The next runner wearing the Red and Whites was Brian Venton (36:19:00), Mike Grout (38:09:00) and Graham Douglass (43:21:00) acted as sweeper for the Benfleet RC team.